Takeshi Niinami will be joining the growing ranks as an advisor. Cinnamon will invite Takeshi Niinami as an advisor starting Feb 1st, 2019, to strengthen the management structure and drive global expansion. Mr. Niinami has a strong track record leading several enterprise Japanese firms at the CEO level. Cinnamon’s AI drives workflow innovation and with Mr. Niinami’s strong global management experience, Cinnamon will continue to grow to meet our client’s dynamic needs. Cinnamon continues to advance its mission of “extending human potential by eliminating repetitive tasks’” by providing its AI solutions as the cure to customers who suffer from monotonous tasks. Representative Director, President & Chief Executive Officer at Suntory Holdings Limited. Born in Kanagawa, Tokyo, in 1959. MBA, Harvard Business School, in 1991. Started career at Mitsubishi Corporation in 1981. Joined Lawson as President and CEO in 2002. 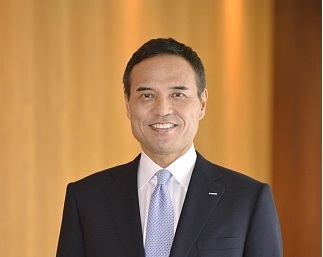 Joined Suntory Holdings in 2014; currently President and CEO, Member of the Board, Representative Director. Advisory Committee to the Chairman at Japan Association of Corporate Executives. Executive Officer of Japan Association of New Economy. Vice Chairman of the Board of Councillors of Japan Business Federation. Member. Council on Economic and Fiscal Policy (CEFP) since September 2014, International Business Council of World Economic Forum.